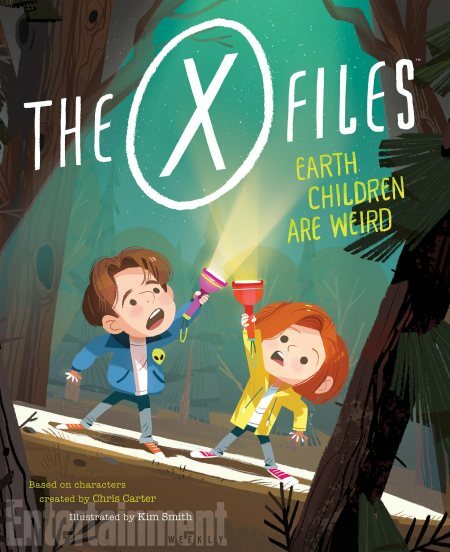 The X-Files: Earth Children Are Weird — a forthcoming picture book starring Fox Mulder and Dana Scully as kids on a camping trip. Of course, in true X-Files fashion, the trip takes a turn for the eerie when they start seeing strange lights and shadows and hearing weird sounds coming from outside their tent. Now, this 2-D wonder is coming to life in the book trailer above, which EW can reveal exclusively. Earth Children Are Weird is illustrated by Kim Smith, who also brought Home Alone’s Kevin McAllister to colorful (but flattened) life in Home Alone: The Classic Illustrated Storybook.